Download APICET 2019 Hall Tickets/AP ICET 2019 Hall Tickets/MCA MBA Entrance Test 2019 Hall Tickets/AP ICET 2019 hall tickets : APICET 2019 is the Andhra Pradesh State Integrated Common Entrance Test, after bifurcation of the state, designated as Andhra Pradesh Integrated Common Entrance Test - 2019 will be conducted by the CONVENER, APICET 2019, Sri Venkateshwara University, Thirupati on behalf of the Andhra Pradesh State Council of Higher Education for admission into M.B.A. and M.C.A. Regular Course in Andhra Pradesh for the academic year 2019-2020. 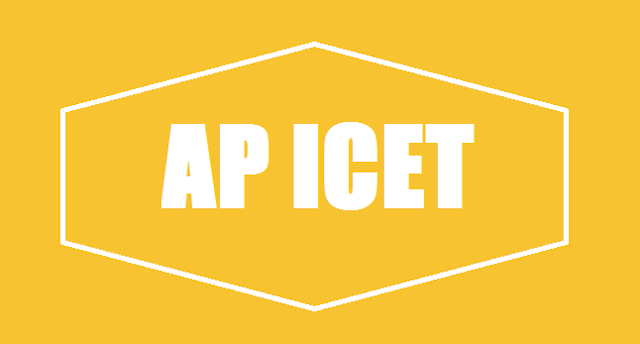 AP ICET Hall Tickets 2019: The Andhra Pradesh State Council of Higher Education (APSCHE) is all set to release the Hall Tickets for the AP Integrated Common Entrance Test (AP ICET) 2019, to be conducted on April 26, on its official website, sche.ap.gov.in. Steps to download the AP ICET Hall Tickets 2019: Visit the official website, sche.ap.gov.in. On the homepage, click on AP ICET 19. A new page will open. Click on the link 'AP ICET 2019 hall ticket'. Log-in using registration number. Admit card will appear. Candidates will have to print the admit card without which no candidate will be allowed to appear for the examination. The answer key will be released on April 26, 2019 at 6 pm and the result is likely by May 6, 2019 (Monday) at the official website, sche.ap.gov.in. The exam is scheduled to be conducted on April 26 , 2019. The exam will be of two and a half hour. SVU Thirupati issued the AP State integrated Common Entrance Test 2019 notification in February, 2019 and online applications were invited from the eligible candidates. Candidates who were applied for AP State Integrated Common Entrance Test(APICET) 2019 can download their hall Tickets from APICET Web portal. The APICET for admission in MBA and MCA courses of all the universities in AP and their affiliated college is being conducted by Andhra University on behalf of AP State Council of Higher Education(APSCHE). According to APICET Convener, Eligible students have applied online for this test so far and they can download their from website: https://sche.ap.gov.in/ICET with the help of date of birth and application number. The APICET 2019 Exam scheduled to be held on April 26. The Integrated Common Entrance Test hall tickets would be available at the official website of AP ICET. Candidates who have registered for the entrance test can download the hall ticket at the official website, sche.ap.gov.in. AP ICET 2019 exam will be conducted on April 26, 2019. Sri Venkateswra University, Tirupati is conducting the entrance test this year on behalf of Andhra Pradesh State Council of Higher Education or APSCHE. The exam will be conducted in two shifts on the day of exam. The timing for the examination will be 10:00 am to 12:30 pm in first shift and 02:30 to 05:00 pm in second shift. The last date for receiving objections on Preliminary Key is April 19, 2019. Objections will be received till 05:00 pm on the April 29. The declaration of results is scheduled on May 06, 2019. Candidates were required to pay Rs 550 as registration fee. The online application form submission for the examination was started on February 27, 2019. The last date for submission of application form without the late fee was March 27, 2019. Candidates could submit the application form with late fee of Rs 2000 till April 4, 2019. The AP ICET 2019 exam is conducted for admission to first year of MBA and MCA program in University and their affiliated colleges for academic year 2019-2020. The entrance exam is also conducted for lateral entry into second year of MCA programmes. The entrance exam will be conducted in various centres in state. Section A&B of question paper will be in English and Hindi. Section C of the question paper will only be in English Language. Appearing candidates are advised to practice the mock tests available on the official website. Step 5. Take a print out and remember to carry it in the exam hall.